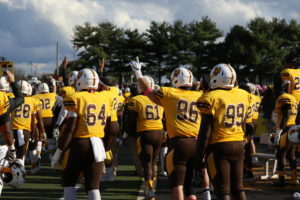 Rowan University football team concluded its 2018 season Friday night, with a 35-20 home victory over Kean University. Before the game, the Rowan Athletic Department honored veterans and members of the military for Rowan’s Military Appreciation Day on the rainy, cold night. Just moments in, Rowan senior halfback John Mannion made a couple Kean defenders miss and went down the sideline for a 49-yard score. Mannion went for 91 rushing yards on the night, averaging 5.7 yards per-attempt and found the end zone twice. 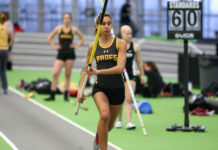 The Profs scored again on their second position that started at the Kean 44. Freshman quarterback Nick Couzzi was able to squeeze a perfect seam pass through double-coverage to junior receiver Nick Grosso for a 28-yard touchdown on the fifth play of the drive making it 14-0 Profs. Kean quarterback Rylan Pangborn brought the Cougar’s within seven with a score three minutes later, finding receiver Amir Archer in the back of the end zone, beating a Rowan blitz. Mannion scored his second of the night with over four minutes before half. 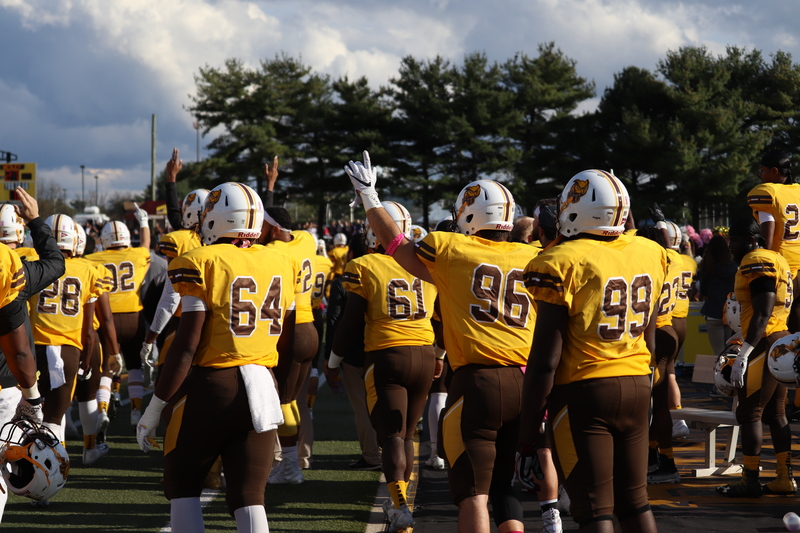 Kean hit a field goal just before the halftime whistle, giving the Brown and Gold a 21-10 lead at the break. Rowan’s defense was able to hold the Cougars to only 75 yards on the ground on 35 attempts and picked Pangborn off twice. Defensive backs Joe DiBari and Nate Lanier were the recipients of the interceptions. Gajderowicz had himself a game, recording more than five quarterback hurries, two sacks, 3.5 tackles for loss and eight total tackles. After the weekend ended, he was honored as the New Jersey Athletic Conference (NJAC) Defensive Player of the Week for the second consecutive week. Kean came out of the half determined, scoring on a 72-yard pass from Pangborn. Junior receiver and punt returner Elijah Rehm returned a punt a bit under five minutes later for an 81-yard touchdown. He finished the game with 238 all-purpose yards, including 184 on special teams alone. Head coach Jay Accorsi was very impressed, as well as complimentary of Rehm’s performance in the game. 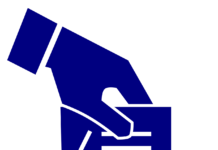 Early in the fourth quarter, Couzzi was replaced briefly by sophomore Riley Giles, who had a short, three-yard touchdown and an interception. Combined, Couzzi and Giles went 10/20, had 113 passing yards and two touchdowns on the night. Under center, Couzzi used his legs a lot and employed the zone-read offense often. All three captains of the team, Kevin Stokes, Travelle Curry and Anthony Diorio, played the last games of their careers. 13 seniors total played their last snaps on a collegiate field. 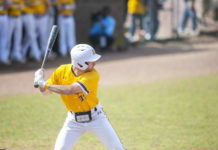 Rowan finished the year 6-4 overall and 5-4 in the NJAC.